Yes, that’s right we’re into essential oils now, they have been amazing. If you’re wondering on how to get started with essential oils, then read on. 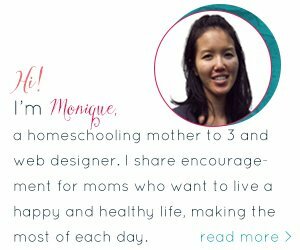 I spent almost 2 months reading everything I could about essential oils before we jumped in just to make sure I was doing the right thing and investing in something that was worthwhile. Well, enter Pinterest, and I kept seeing essential oils come up and I thought I really need to see what the hype is about. What am I missing? I read a few articles but a the time I didn’t feel as though it could help me. And it seemed like a lot of money to put out just to help with the occasional cold or tummy issue. As we headed into the winter season, I always found myself looking for natural ways to help my kids stay healthy since we don’t have any cough syrup in the house. Even when I experience discomfort from a headache, I never take anything and just hope that bedtime comes really soon. So I started researching again and found that essential oils can do a lot more and they even have their own beauty products and skin care lines. You can use them to clean and sterilize, enhance your mood, improve concentration the possibilities seemed endless. I researched and read everything I could find and I watched a lot of Youtube videos. By chance, I saw a Facebook post from a friend, another homeschooling mother, who was also into essential oils, when we met up I prodded her about her involvement in essential oils. It was so nice to meet someone in real life who knew what I was talking about. I still wasn’t sold. It was going to cost a lot of money. I wanted to make sure I was making the right choice for the benefit of our family’s health. I decided to purchase an enrollment kit, it included 5mL of 10 different oils and they’re all of the oils that you’ll need to take care of your family should anything come up. I was confident that I had made the right choice but also skeptical that it wasn’t going to work for us. I’ve read the testimonials from others about their benefits but maybe it wouldn’t work for us. Maybe they were exaggerating. I had no clue until I received our package. My son was going through the sniffles which he had for 2 weeks, I looked up what we should use with him and decided to give the peppermint essential oil a try. I diffused it in our home along with the protective blend and then at night I diluted it with a carrier oil and then rubbed it on his back and throat. So what happened? Nothing, it actually got worse. Well, then since this was full on cold with a sore throat I had to change plans. I diffused lemon, lavender, protective blend and Frankincense and then in a roller bottle I mixed protective blend, lemon, melaleuca, and oregano and topped it off with the fractionated coconut oil. I used it on the bottom of my son’s feet 3 times a day. After 3 days, he was fine. It didn’t get worst and it wasn’t long and drown out which is what usually happens when he’s sick. We are a family full of digestive issues so instead of reaching for a bottle of Pepto Bismol, I now have the option or rubbing some digestive blend oil on my tummy. Within minutes, I was feeling better, how awesome is that to have a more natural method of relieving my pain. The digestive blend was super awesome at relieving pain from menstrual cramps as well. I love our diffuser and I’ve been experimenting with peppermint and lemon during our school day to help with concentration and mood. I love that the combinations and potential are so great as they can be used in different aspects of our home. 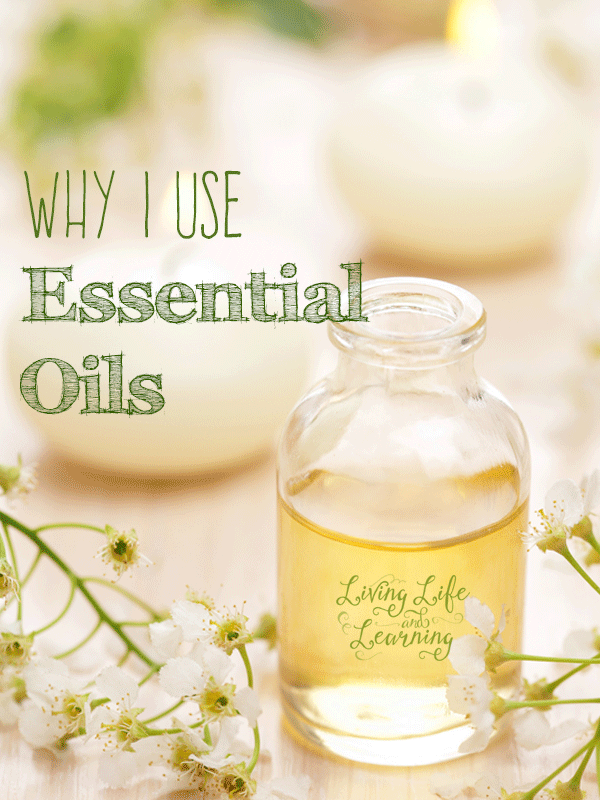 Why We’re Using Essential Oils? I hate reaching for pill bottles and most likely will suffer through the pain from a headache or tummy ache then do something about just because I don’t want to take any drugs. What if I didn’t have to and could use something else to help ease my pain and do so without putting chemicals into my body. That is what intrigued me about essential oils. While the initial investment into oils may seem like a lot, they have so many uses and they will last for so long. Instead of buying a pill for a headache, migraines, menstrual cramps, and nausea pills, you’ll have the oils that can take care of that for you. Not only that, because the oils are so concentrated, you may only need a few drops to help you. One of my goals for 2015 is to live a healthier lifestyle for myself and our family. My hubby has lost 30lbs in the last year and we’ve made huge changes to our diet but I’d also like to take it a step further to reduce the chemicals that are exposed to our bodies in terms of drugs as well as cleaning solutions. If I can find a more natural way to help us then that’s what I’d like to try first. I’ve added lemon as I mopped my floors and they smelled heavenly. I’m really looking forward to all the things that these oils can do for us, not that I’m hoping anyone becomes sick, but I do feel good about having an arsenal of oils on hand should anything arise. Fast forward to January 2017, since the start of my essential oils journey and I’m still a happy oil user. Could I be using them more? Sure, but with everything, I take things in stride and hope to find the best things that work for our family. I joined doTERRA after I was introduced by a friend and then I was hooked. They’re a wonderful company and I did my research before joining and it was a decision I never regretted. doTERRA is a MLM company which means that in order to make a purchase you have to do so through one of their wellness advocates (consultants). There is a $35 membership fee to join so that you can buy oils at the discounted price and save up to 25%. If you choose to share the oils with your friends and family then you would earn a percentage of their sales but only if you choose to do so. It was never my intention to sell them, but since I love them so much I began sharing them with everyone I knew and here I am. The plants are sourced and grown from the native countries and doTERRA does a lot of community work in other countries providing jobs to natives. I like that I can order oils on the whim and not feel as though I have to commit to purchasing more oils each month. If you’re thinking of using oils, you need to visit their site and check them out. They’re customer service department rocks and answered any questions I had about find equivalent blends for other brand names. Thank you for linking up at Essential Fridays! These are great posts! I pinned both =) Have a great week and hope to see you again next Friday! ~Ren at The Redeemed of The Lord.